Facebook Timeline In User Profile On The Apple Macbook Pro Retina.. Stock Photo, Picture And Royalty Free Image. Image 43260269. 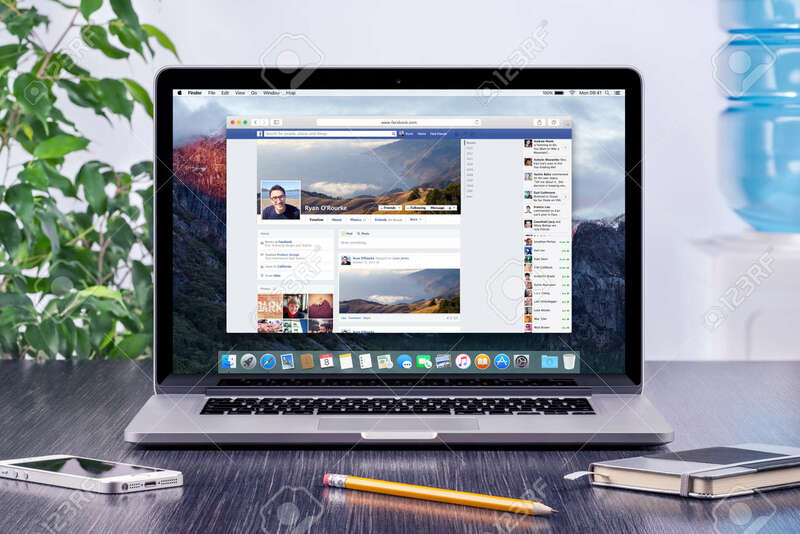 Stock Photo - Facebook Timeline in user profile on the Apple Macbook Pro Retina screen that is on office wooden desk. Facebook is the most popular social network in the world. Varna, Bulgaria - May 31, 2015. Facebook Timeline in user profile on the Apple Macbook Pro Retina screen that is on office wooden desk. Facebook is the most popular social network in the world. Varna, Bulgaria - May 31, 2015.